Rum Beat Rum Punch is a Caribbean delicacy this drink is drank widely in the Caribbean. It is a drink that helps one to unwind, relax and enjoy the beautiful Caribbean scenery. 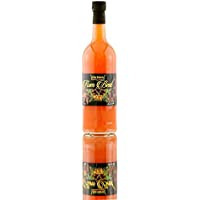 Rum Beat is made of fruit juices and a splendid mixture of Jamaican rum. Punches are an old style of cocktail, steeped in a rich history that spreads beyond the traditional Caribbean associations. 'Panch' (meaning "five") was taken from Hindi, and the drink traditionally incorporates alcohol, sugar, lemon, water and tea or spices. Brought over to Europe and the Americas from the East by workers and sailors in the 17th century, it has widely become known as the true party cocktail, made in big batches to satisfy large and thirsty groups.